Remember when a whopping 130 House Republicans voted against the Violence Against Women Act reauthorization bill last month? Some of them are banking on your amnesia. 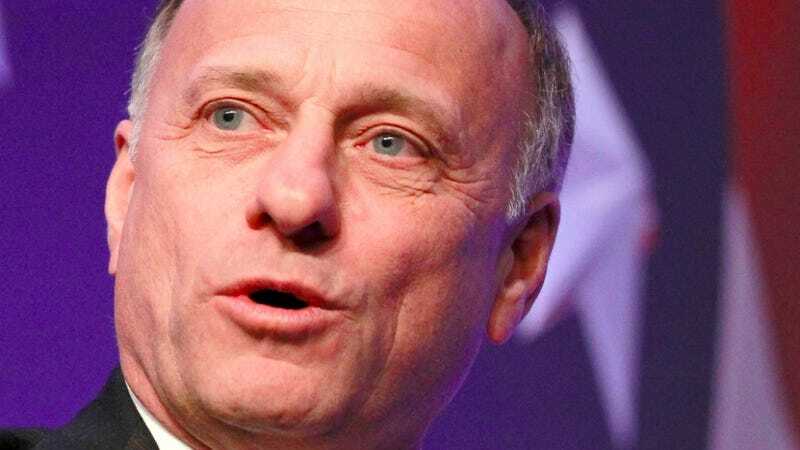 Rep. Steve King (R-Iowa), for example, issued a statement with the headline, "King Votes in Support of Violence Against Women Act." How lovely! "I supported VAWA in 2005, 2012, and today I voted in support of the House version to see that victims of domestic violence and sexual assault have access to the resources and protection when they need it most," it reads. Uh, except King actually voted for GOP's alternative bill which did not (and wasn't expected to) actually advance. Psh, details. The Maddow blog's Steve Benen found a number of shady Republicans that did the exact same thing, including Reps. Tim Griffin (R-Ark. ), Tim Walberg (R-Mich.), Keith Rothfus (R-Pa.), Tim Murphy (R-Pa.), and a bunch of other lying liars. Some of them got impressively weasely, like Griffin, who said he voted for "House passage of the Violence Against Women Act (VAWA) Reauthorization (H.Res. 83) in a statement titled "Proud to Support House VAWA." But H.Res. 83 is a procedural resolution, not VAWA. Fuckers. Check out Benen's post for the full list — which we're sure is still developing.